Membership in the Knights of Columbus is open to men over 18 years old who are practicing Catholics in good standing with the Catholic Church. For information on how you can become a Knight contact one of our officers today. 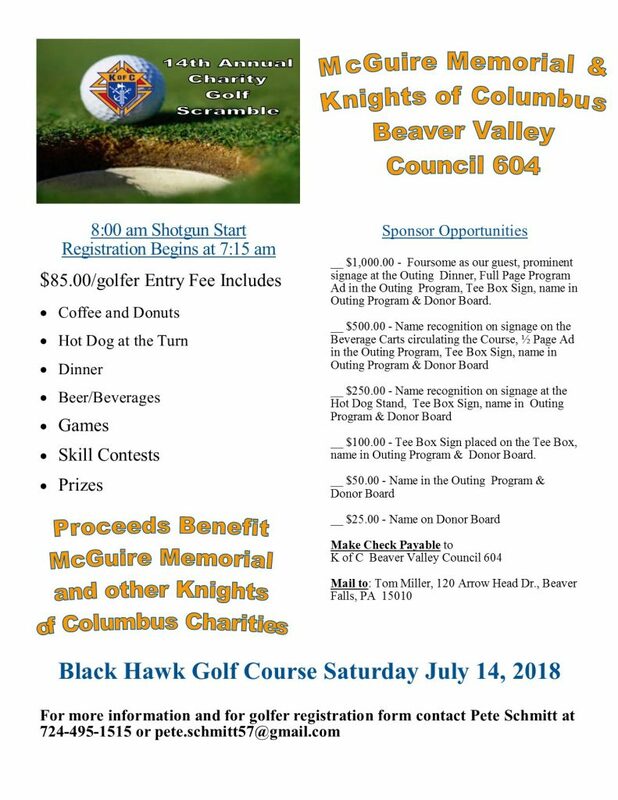 We are pleased to announce the date for our 2018 Golf Outing to benefit McGuire Memorial and other Knights of Columbus Charities. Join us Saturday July 14, 2018. For more information and to register please click here.